Wei-Chieh (Willy) Chang is a native of Taipei City, the capital of Taiwan located at the northern part of the island. 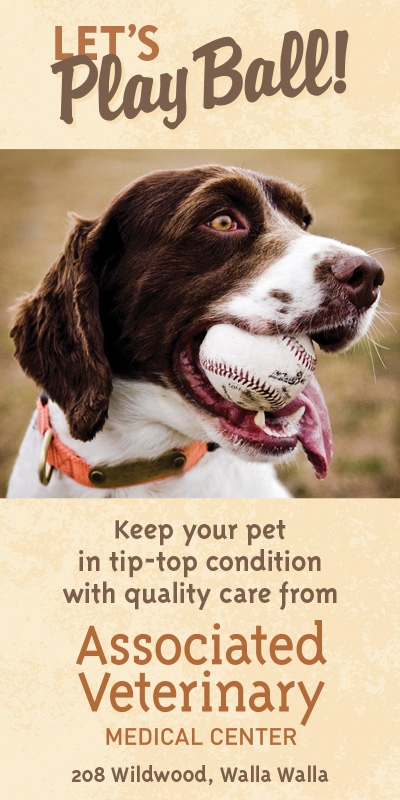 He went to Ku-Pao Home Economics and Commercial High School where he honed his skills on the baseball diamond. 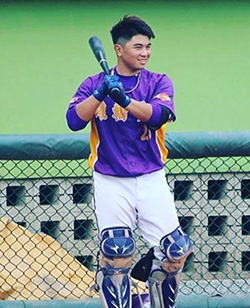 Chang first visited the United States as a young athlete playing baseball for the Taiwan National Team in the 2011 PONY League Baseball World Series hosted in Washington, Pennsylvania. His team came up just short, losing in the championship game, but Chang said he thoroughly enjoyed the experience and going to the American shopping malls and outlets. 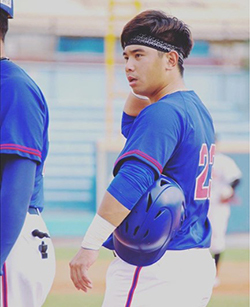 The talented young catcher is currently a junior at Kainan University, a private university located in Luzhu District, Taoyuan City, Taiwan. He said he chose to go to school there because of the opportunities it would afford him to advance his baseball career. 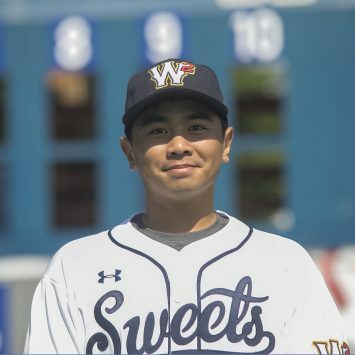 Chang learned about the Sweets online and from a friend who played in the WCL last year. He said he is looking forward to meeting his new teammates and playing at some of the amazing venues featured in the WCL. He is the son of Yu-Fen and Sen-Kuei Chang and has a brother, Yeh-Hsuan.